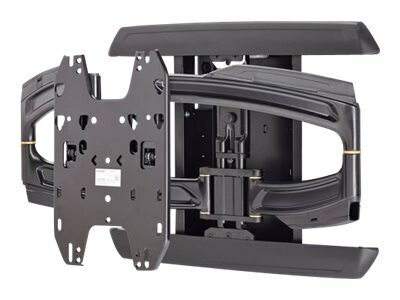 The PAC525F simplifies flat panel installation by providing an organized, recessed space for routing excess cables and for attaching surge protectors/power conditioners. The addition of the flange adds an aesthetic trimmed appearance and drywall mounting capability. The product is compatible with the PST, PRO, PLP, MSR, MTR, MWH, MWR, PWR, PNR, PDR, Thinstall, and FUSION wall mounts.